Published: March 9, 2015 at 02:25 p.m.
Stephen Paea is on the move. 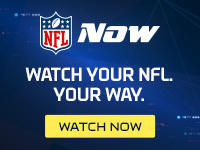 NFL Media Insider Ian Rapoport reported Monday that the former Bears defensive tackle has told people that he will land with the Redskins when free agency launches Tuesday. The big-bodied, interior lineman has been on Washington's radar for weeks. Paea, 26, currently ranks No. 35 on our list of the top 101 free agents after a campaign that saw him notch six sacks while finishing fifth in the NFL at his position with 31 quarterback hurries. That pressure speaks to Paea's ability to cause havoc in the pocket, but he offered little help against the run last season. Paea logged 40 starts over four years with the Bears, who selected the defensive lineman in the second round of the 2011 NFL Draft. New Redskins general manager Scot McCloughan has made a flurry of moves along the line, releasing Barry Cofield and Stephen Bowen and adding former Niners and Colts defensive tackle Ricky Jean Francois. Paea is poised to join Jean Francois, Jason Hatcher, Chris Baker, Frank Kearse and Kedric Golston on what promises to be a wholly different defensive front in 2015.